After five months of sheer absolute craziness I was going back to being plain old background D.J. In photographs of course I’m always in the background . . . But it turns out other folks have big plans for D.J. Like her coach. College scouts. All the town hoops fans. A certain Red Bend High School junior who’s keen for romance and karaoke. Not to mention Brian Nelson, who she should not be thinking about! Who she is done with, thank you very much. But who keeps showing up anyway . . . 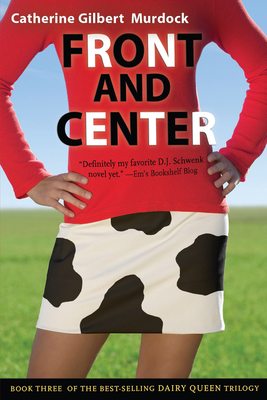 Readers first fell in love with straight-talking D.J. Schwenk in Dairy Queen; they followed her ups and downs both on and off the court in The Off Season. Now D.J. steps out from behind the free-throw line in this third installment of the Dairy Queen series.